Toronto, ON (April 23, 2012) – It’s a rich wine region and getaway spot on the shores of Lake Okanagan – home of the legendary Ogopogo. And now, Canadians pursuing memorable moments in the Okanagan Valley gain their first Lexus dealership, as Lexus of Kelowna opens its doors on Highway 97 North. Lexus of Kelowna represents a $10 million investment in advanced technology and personal attention to deliver a world-class experience. The brand new, 23,500 square foot facility features a two-vehicle delivery area, ten service bays and four detailing bays, with an 8,500 square foot mezzanine level. Lexus of Kelowna will feature a full selection of Lexus vehicles in its nine-vehicle showroom – including the built-in-Canada Lexus RX 350 luxury SUV and the world’s most extensive line-up of powerful, efficient hybrids. 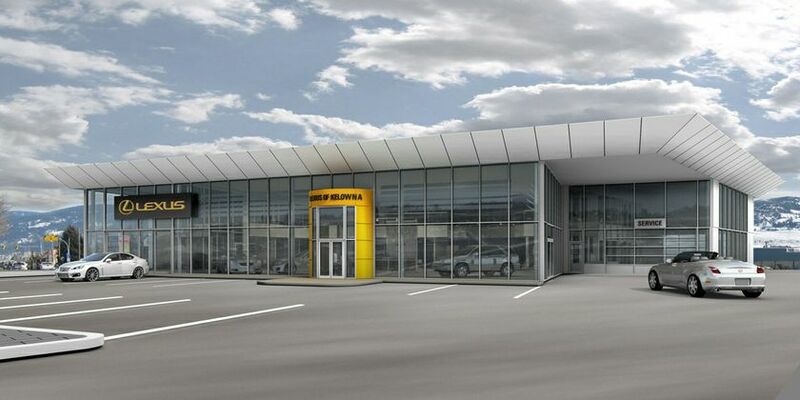 Lexus of Kelowna, part of the Sentes Automotive Group, is located at 2767 Highway 97 North, Kelowna BC, V1X 4J8.